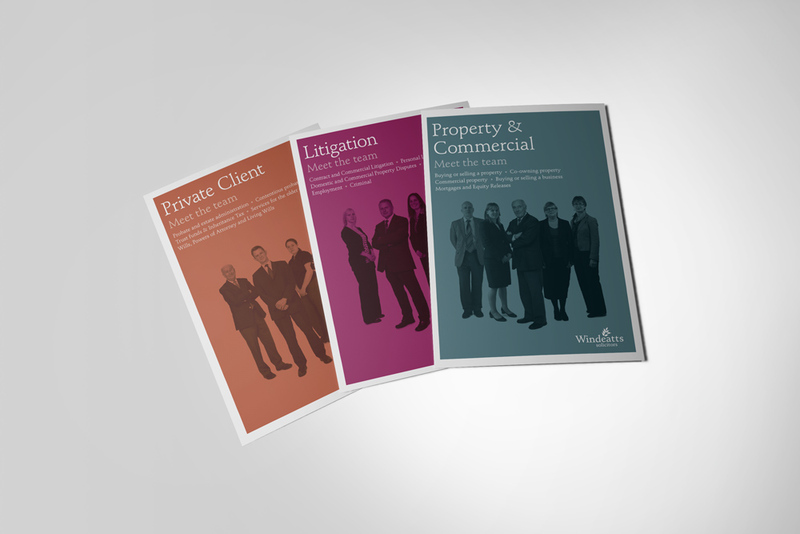 Brand communications and marketing materials for Windeatts solicitors in Totnes and Kingsbridge. Often it's a struggle to know how to put your best foot forward, and Windeatts knew with the increased pressure from online services they needed to personalise their business. They brought us in to develop a caring, approachable brand for their business. Windeatts Solicitors wanted to appear more approachable and accessible. It was time to smarten up the brand and break down those stuffy stereotypes. We quickly decided a photo shoot was required to present the staff as personable. Windeatts needed to step out of the office and present themselves as real people. Their message then became one of experience and knowing their stuff without ever being stuffy. Empathy is uniquely human, and it’s best created by face-to-face conversations. 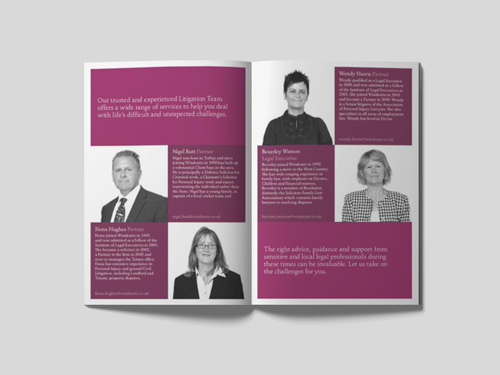 Part of the Windeatts message was to promote each person using ‘Meet the Team’ brochures that gave clientele the reassurance of personal connection and service with a smile. 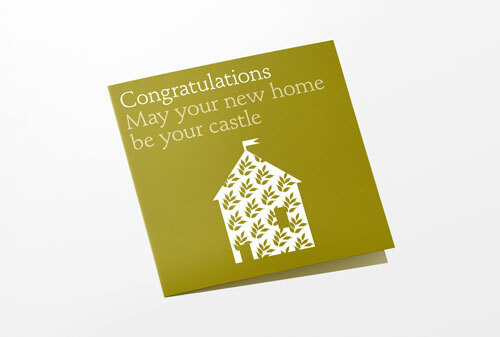 To do this, we used upbeat messaging such as ‘local knowledge’ and ‘distinctly unstuffy’ to appeal to a wider clientele. 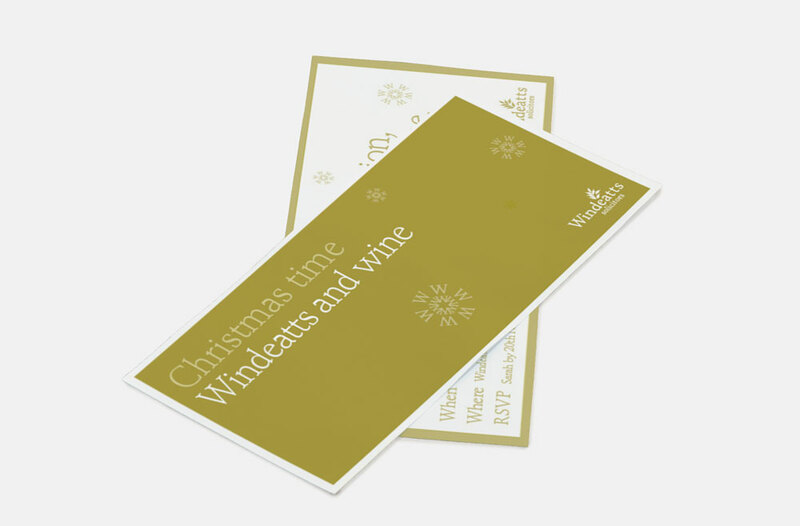 We produced a series of clear, simple brochures to explain the Windeatts set of services – with a strong emphasis on their care for their customers. We know our stuff. But we’re never stuffy.